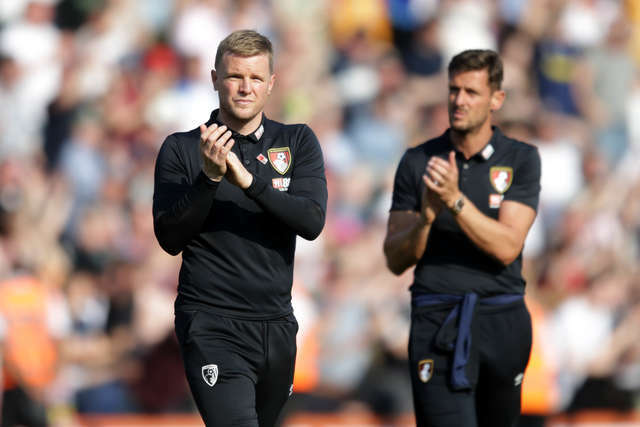 Fulham striker Aleksandar Mitrovic’s penalty spoiled the party as Eddie Howe marked his 500th game in management. 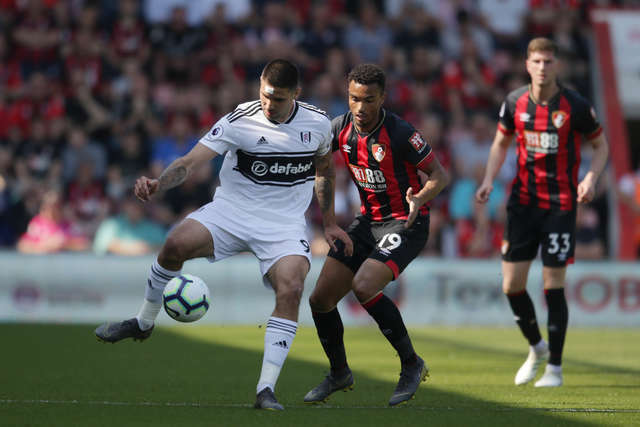 Mitrovic settled in the visitors’ favour a tight contest when he sent Artur Boruc the wrong way eight minutes into the second half. 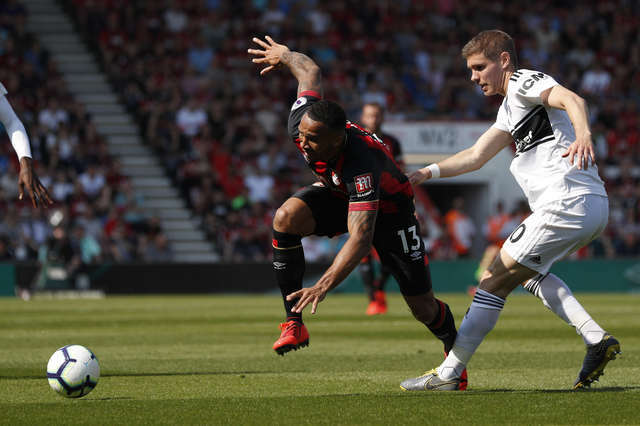 His spot-kick earned the relegated Cottagers a first Premier League win of the season and the Londoners’ first victory over the Cherries since 1994. 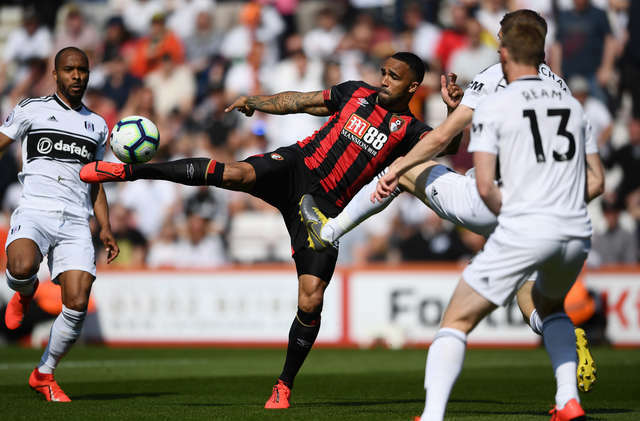 The Cherries, seeking a fourth league double of the season, created a host of goalscoring chances but were foiled by a combination of poor finishing and good goalkeeping from Sergio Rico. 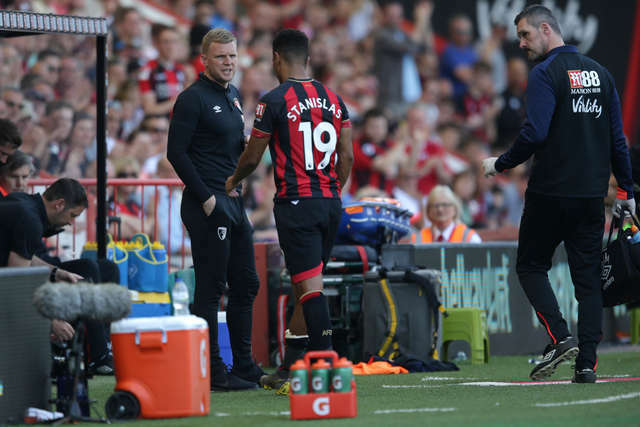 Howe team’s suffered a double injury blow when Adam Smith was hurt during the warm-up and his replacement Junior Stanislas went off midway through the first half. 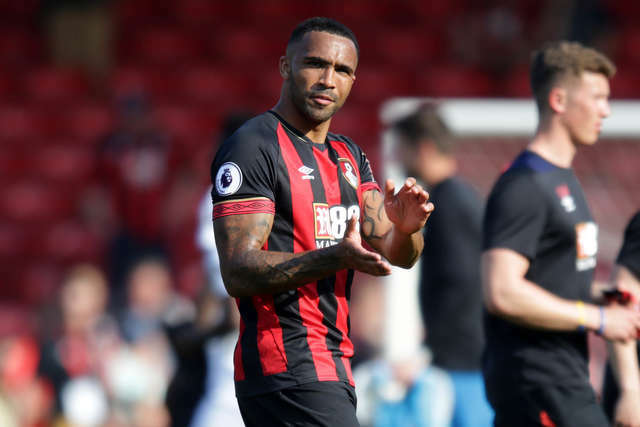 Callum Wilson fashioned the first shooting chance after just 55 seconds but the striker’s effort was too high and did not trouble Fulham goalkeeper Sergio Rico. 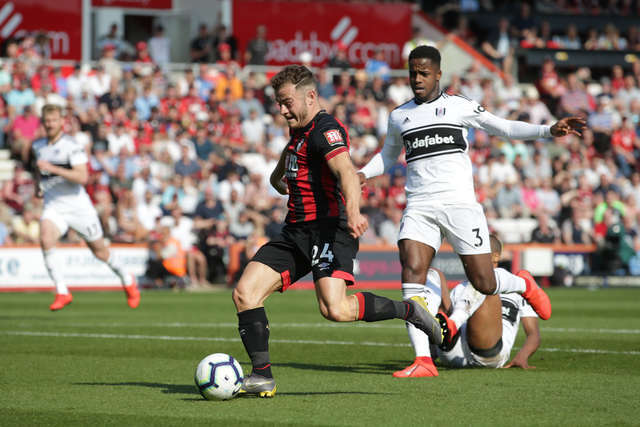 David Brooks and Wilson then combined to create an opening for Ryan Fraser, the Scotsman’s strike deflected for a corner. And from the flag-kick delivered to the far post by Fraser, Nathan Ake tried to flick the ball to Wilson who was beaten to it by Rico. 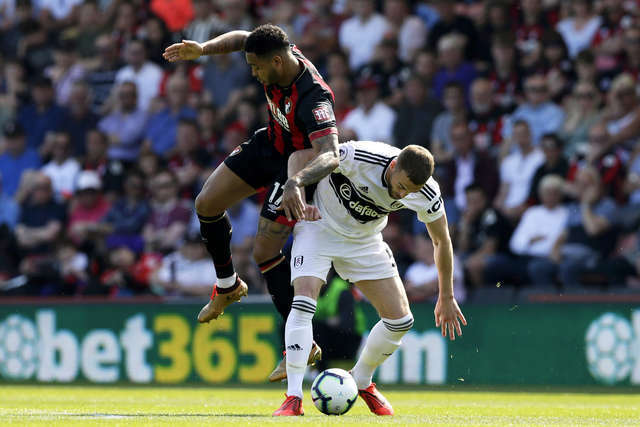 Joshua King spurned a glorious opportunity to make the breakthrough when he lifted his shot over the crossbar from just seven yards after 15 minutes. 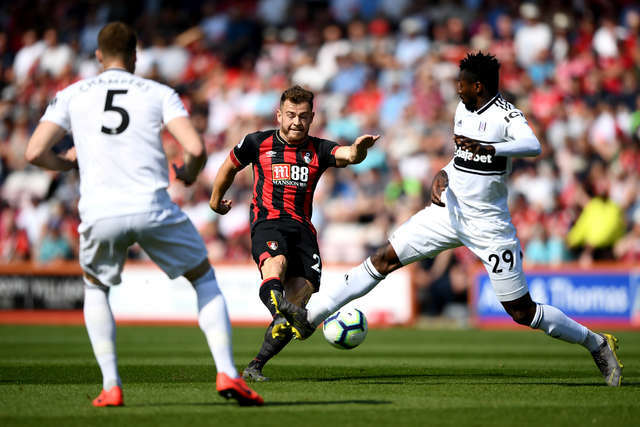 The Cherries had a double let-off when both Calum Chambers and Aleksandar Mitrovic both went closing to scoring in quick succession. Firstly, Chambers outjumped the Cherries defence at the far post to meet a corner, only to see his header cleared away by Ake who was a couple of yards off his own line. And after the ball had been recycled back into the danger area, Mitrovic blazed his attempt over the crossbar from close range. An electrifying run from Fraser ended with the speedy winger drawing a fine one-handed save from Rico, the Spaniard turning his left-foot shot around the post. 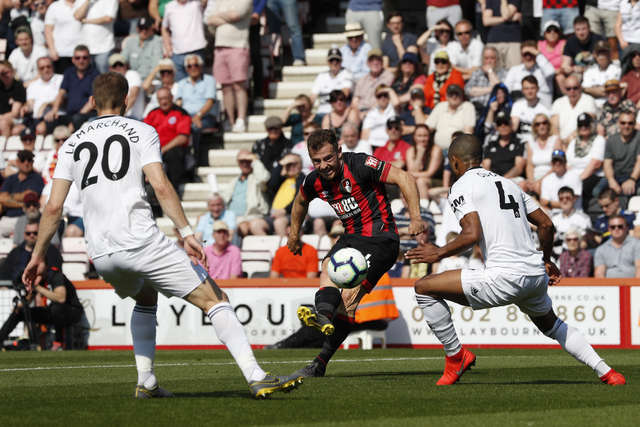 The Cherries were forced into another change and a defensive re-organisation midway through the first half when Stanislas pulled up injured after taking a free-kick. 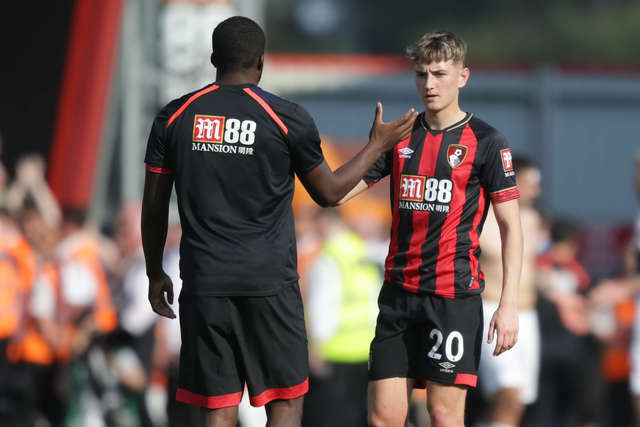 He was replaced by Jack Simpson, the 22-year-old defender coming on for his third Premier League appearance of the season and fourth of his career. Steve Cook showed no signs of having taken a knock earlier when he outpaced Mitrovic and tackled the Serbian as the pair chased a long clearance. 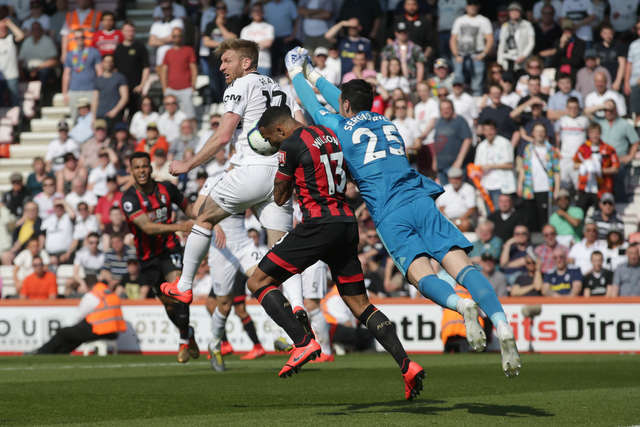 The Cherries were then indebted to Artur Boruc for keeping the contest level, the Polish goalkeeper diving to his left to superbly scoop away Denis Odoi’s header from a Ryan Babel corner. 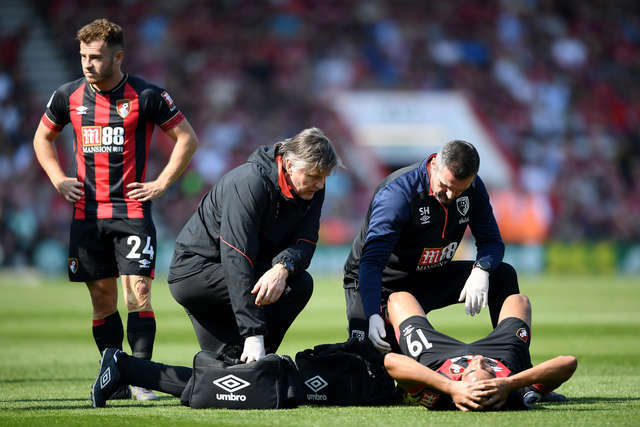 Wilson required treatment after being wiped out by Rico as he came to claim a cross on the stroke of half-time, the striker deemed fit to continue. 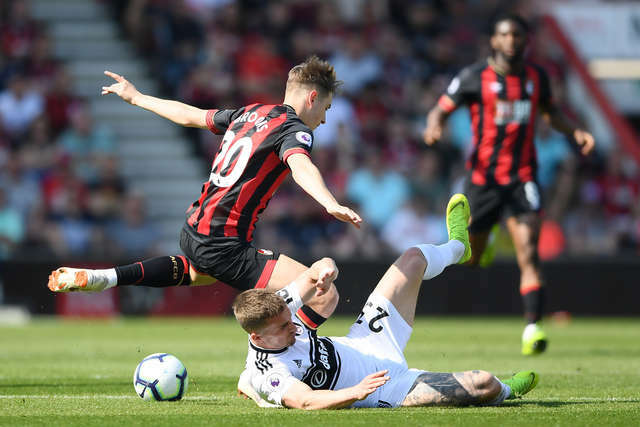 Fraser capped an excellent first-half showing when he threw himself in front of Ryan Sessegnon to prevent the England under-21 international’s shot from testing Boruc. 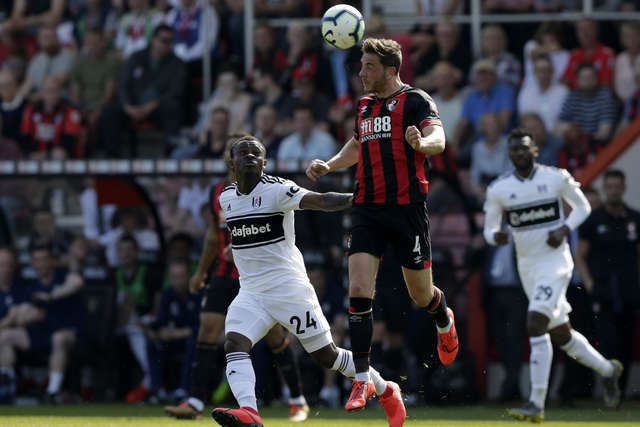 Babel climbed well to meet Jean Michael Seri’s cross at the start of the second half but the Fulham man’s header sailed over the crossbar. 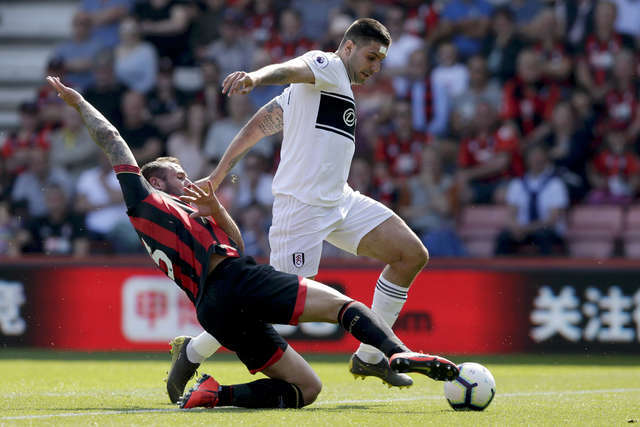 Fulham were awarded a penalty when Simpson was judged to have fouled Mitrovic just inside the 18-yard area eight minutes after the break. 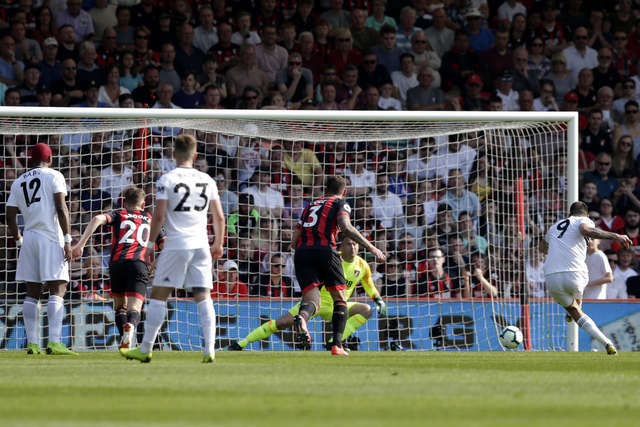 And the Serbia international, Fulham’s leading goalscorer, made no mistake by sending Boruc the wrong way to register his 17th goal of the season for club and country. 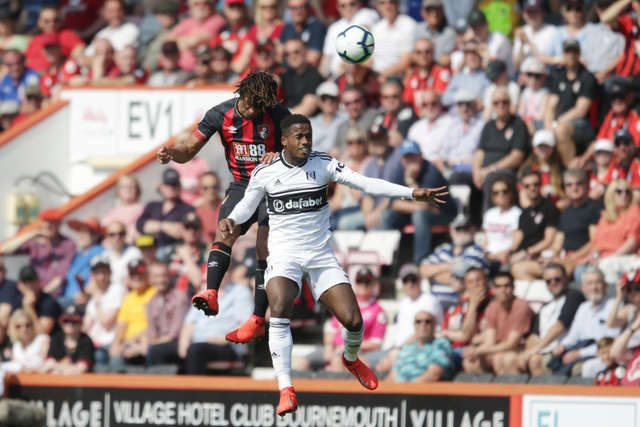 Dominic Solanke replaced King after 61 minutes before Boruc saved from Sessegnon after he had made good contact with a cross from Joe Bryan. Boruc then saved with his chest from Sessegnon before Fraser was denied by Rico after fastening on to Brooks’s slide-rule pass. 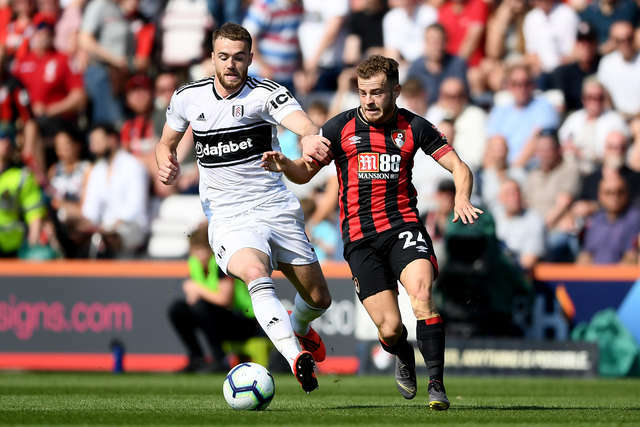 Fraser nipped in front of the Fulham defence and took aim, only for the goalkeeper to spread himself to keep out the winger’s effort. 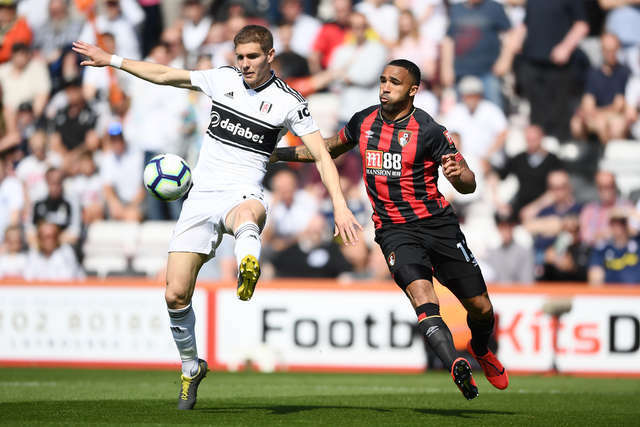 Rico smothered bravely at the feet of Wilson and Solanke was unable to force his way through a posse of Fulham bodies to convert the loose ball. In the closing stages, Brooks saw his cross hit the woodwork and then failed to connect at the far post when well placed. And Boruc pulled off a fine save to parry from Bryan as Fulham went in search of a second. The final chance fell to substitute Lys Mousset but he headed Jefferson Lerma's free-kick straight down Rico's throat.